Object Display and Storage Day Program at MDC (Museum Discovery Centre), Castle Hill. Display store tour led by Scott Winston, Assistant Registrar. Olympic costume on rack. If you have ever wondered what is involved when a museum loans an object from a collection, then this workshop is for you! 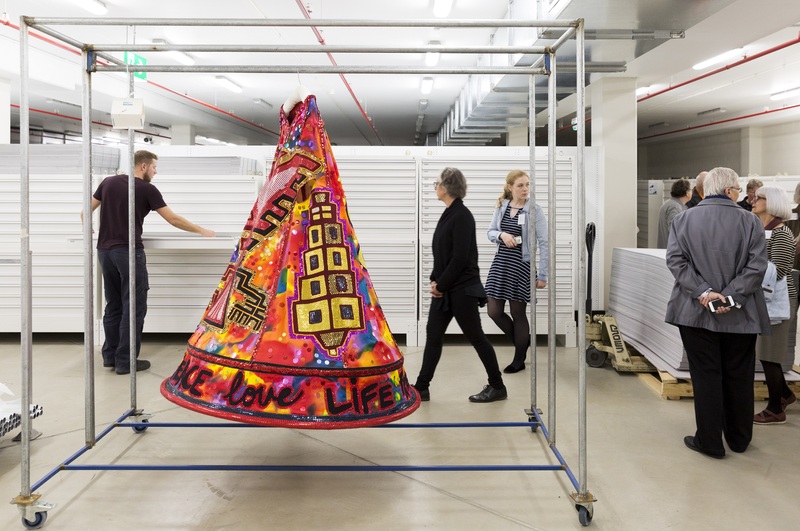 MAAS Registrar Bronwyn McKenzie and MAAS Conservator Frances Fitzpatrick will provide a detailed overview of the outgoing loans process and how we enable greater access to our collections while managing the risks associated. The morning session will cover the MAAS outgoing loans process and delve into the world of facilities reports and loan agreements, planning your display and a practical workshop on condition reporting. The afternoon session will include an overview and very practical demonstration of different display and packing techniques. This workshop will equip you with the tools to create a variety of simple supports and pack a range of objects. This two-part workshop will include a light lunch.